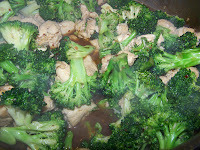 When I'm in a rush to get dinner on the table, a quick stir fry satisfies the hungry crowd at my house. 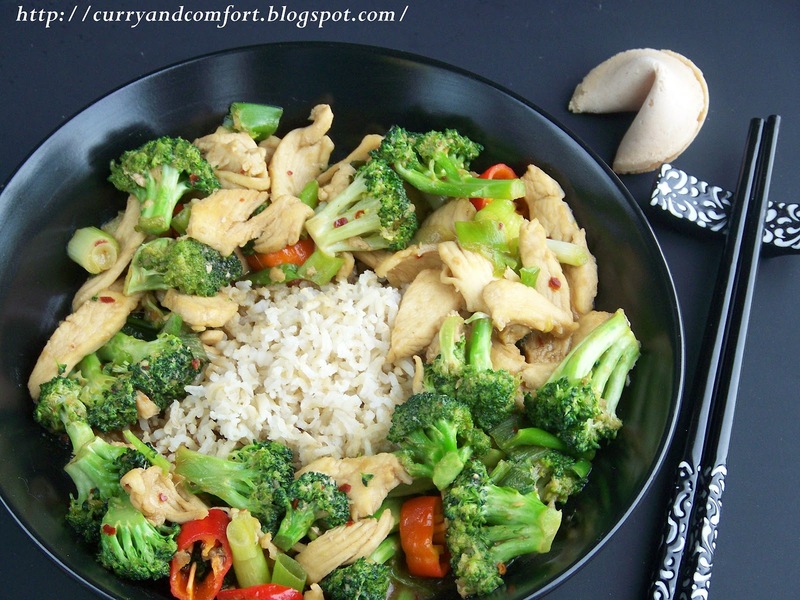 This is one of the easiest stir fries I think I have ever made. The kids loved it because it didn't have too many things going on. 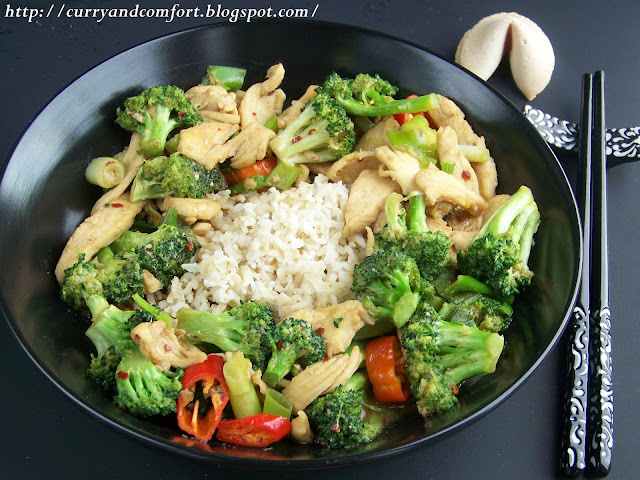 My husband loved it because it was healthy and full of broccoli (his favorite vegetable). I loved it because it was quick, enjoyed by all and I only had one pan to wash. This is what I call a "winner, winner, chicken dinner". Mix all ingredients together and have waiting for the stir fry. Thinly slice your chicken. 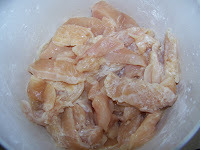 A tip to thinly slice meat easily is to have it partially frozen so it's still firm. 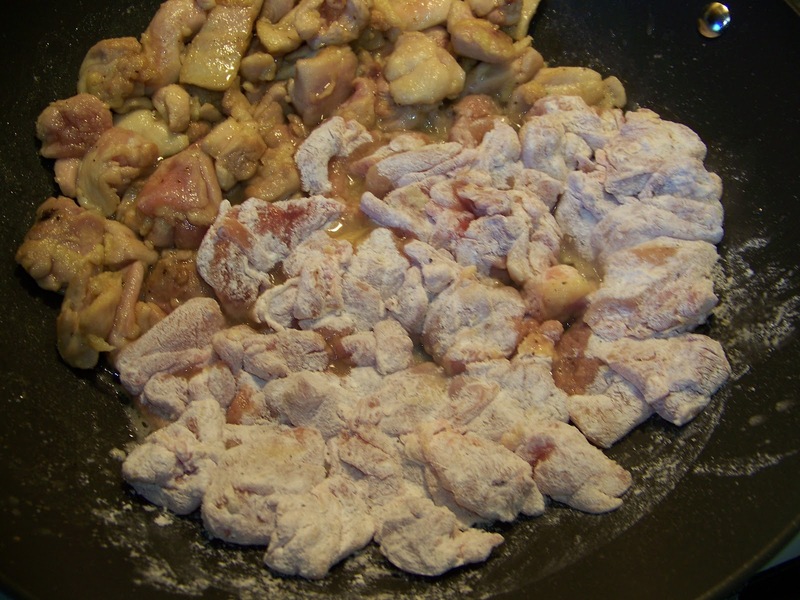 Place in a bowl with a little salt and pepper and 1-2 Tbs of cornstarch and coat lightly. 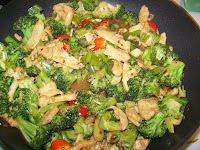 Heat 2Tbs of canola oil in a wok and get heated on high. 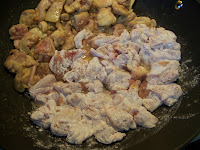 Then add the coated chicken to the wok and stir fry quickly to brown. 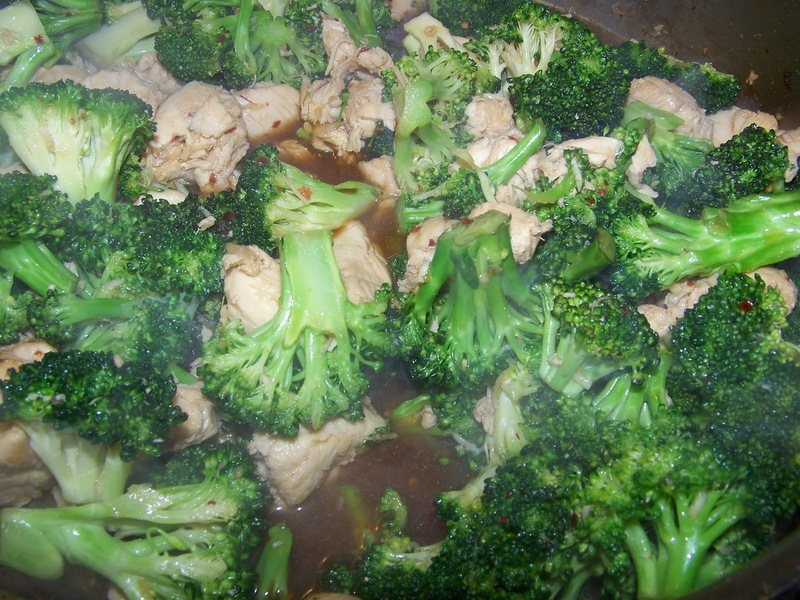 Next add the broccoli (and other vegetables)with sauce to the pan and stir fry until broccoli is tender crisp and chicken is cooked through. Taste for seasoning and serve hot with white or brown rice. Enjoy. This is a real winner, great photos! 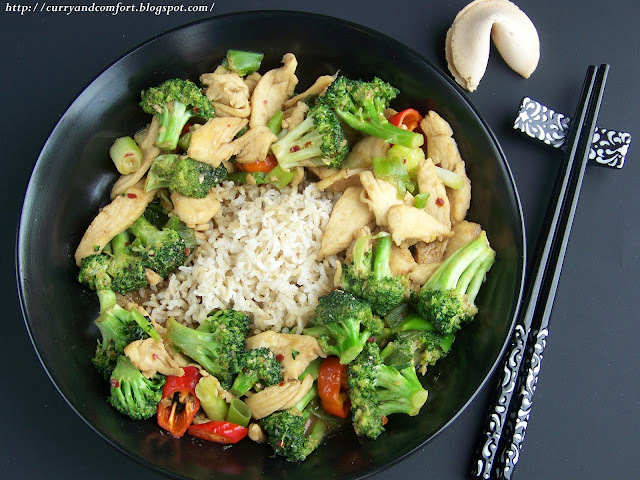 Love, love, love stir-fries! We have them at least twice a week. I tell myself they help to balance out the sweets. That's my story and I'm sticking to it!!! Gorgeous photos as per usual. Love the goodness in this meal.